An eight-year-old Guatemalan boy in the migrant caravan died in government custody Tuesday according to United States immigration authorities. This is the second death of a migrant child within a short span while in U.S. custody. He showed signs of illness Monday and was taken to a hospital in Alamogordo, New Mexico where he was diagnosed with a cold, and fever for which he received medication. The boy was taken back to the hospital Monday evening with nausea and vomiting and died there later. The boy died shortly after midnight on Christmas Day, the CBP said. Previously a seven-year-old Guatemalan girl died while in U.S. custody. The girl and her father were detained by immigration authorities on Dec. 6 in New Mexico as part of a group of 163 people who approached U.S. agents to turn themselves in. On Dec. 7, the girl started having seizures and was taken to a hospital, where she died. According to the Department of Homeland Security, the girl’s father signed a document stating his daughter was in good health. However, many question the validity of the statements, given that the girl and her father, Nery Caal, are of Maya origin and did not speak English, and it was uncertain whether they spoke Spanish. Her body reached Guatemala Sunday as the United Nations called for an independent probe into her death. In a Christmas morning question-and-answer session with reporters, President Donald Trump touted his administration’s immigration policies and demanded further funding for a border wall. While he castigated migrants, the president did not bring up the boy’s death hours earlier. In a brief phone call, Hogan Gidley, a White House spokesman, called the death of the 8-year-old boy “very sad” and said that administration officials were still trying to get a clearer understanding of what had happened to him from the Department of Homeland Security. 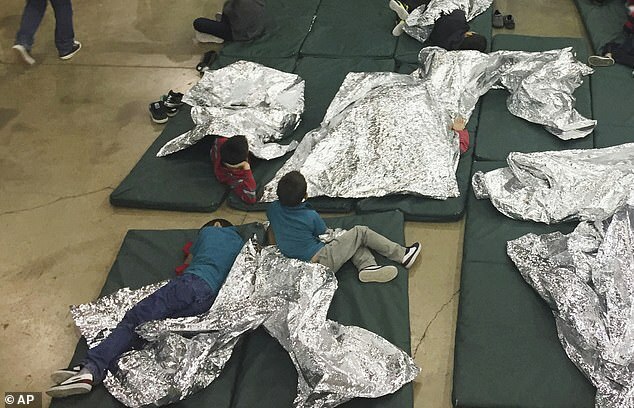 Several Democratic members of Congress responded to news of the boy’s death with sharp criticism of the Trump administration’s approach to the border. Be the first to comment on "Another Guatemalan migrant child dies in US custody"